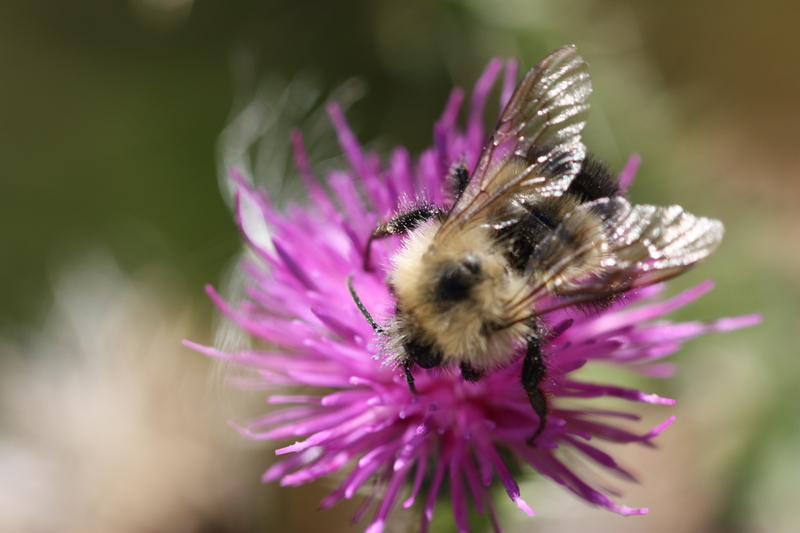 They help provide shelter for pollinators to rest and lay eggs. Are you looking for an excuse to get crafty this fall? Are you hoping to build a positive relationship with bees? You're in luck! Our native bees are non-swarming and non-aggressive. They're in need of homes and could benefit from a bit of your tender loving care. Bee hotels help provide shelter for pollinators to rest and lay eggs. Specifically, bee hotels target solitary bees that live independently of other individuals and that nest in above-ground cavities. Solitary bees are very important, as they provide essential pollinating services for plants that produce many of our fruits, vegetables and flowers. Though they don't produce honey, they're more efficient at pollinating than honeybees. 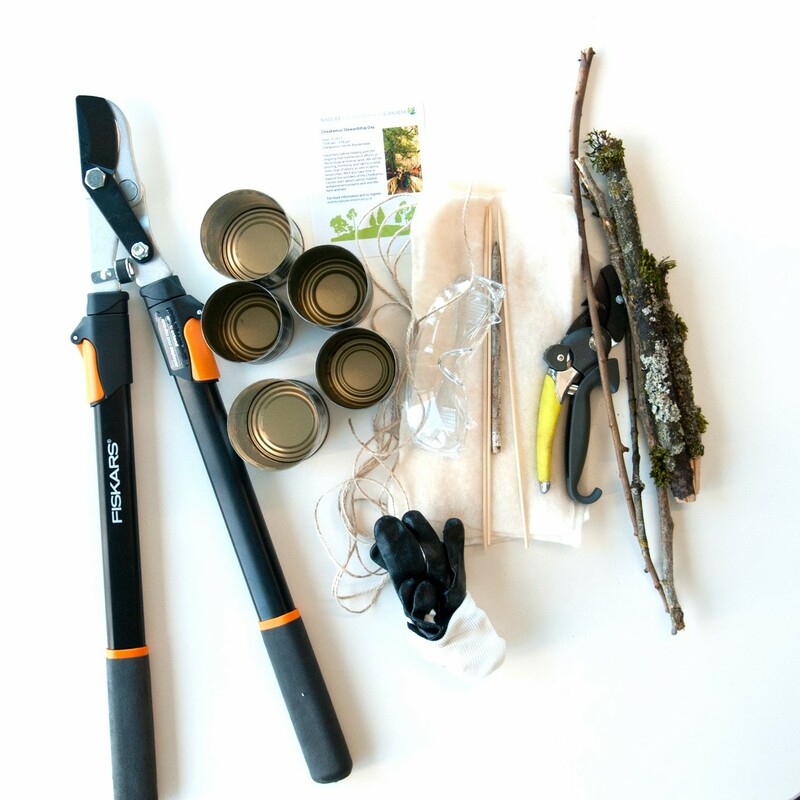 Measure and cut bamboo so that each piece is about one centimetre shorter than the length of the tin can you plan on using. Use the skewers to punch through and hollow out as much of the bamboo's soft interior as you can. 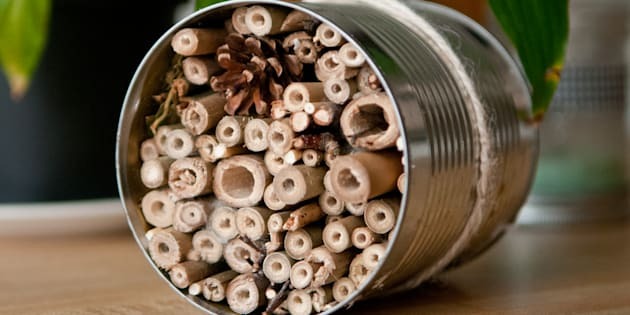 Once you can hold the tin can upside down without the contents falling out, your bee hotel is ready to be hung. Wrap the string or twine around the can and hang it outside. Now it's time to display your vacancy sign — you're open for business! Once you get comfortable with the process, you can start to experiment with different architectural styles. For example, you can drill holes into leftover blocks of wood, roll recycled paper into straw-like tubes instead of using bamboo and tie small branches into bundles after tree pruning or a windstorm. Bee hotels should be hung outdoors where they are protected from rain and exposed to morning sunlight. The warmth of the sun acts as an alarm clock and lets the bees know it's time to get up and go to work. Finally, just like any accommodation business, it's important to keep the rooms clean for guests. Your bee hotel should be carefully cleaned each year after the young bees have emerged in the summer. This post was written by Millie Kuyer and originally appeared on the Nature Conservancy of Canada's blog,Land Lines.